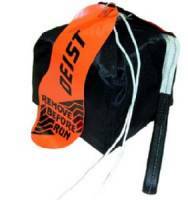 For over fifty years, Deist Safety has been the premier choice for quality safety equipment in the field of motorsports. Parachute release and lever kits include a high quality, teflon lined felsted cable and all the necessary hardware. A reliable, smooth operating chute release mechanism for any car. Neck Braces that are SFI rated are made with a high density, fire retardant foam. Pit Stop USA is The Online Drag Racing Superstore! 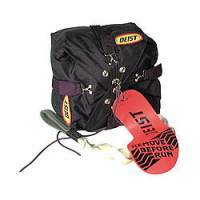 For over fifty years, Deist Safety has been the premier choice for quality safety equipment in the field of motorsports. Founded by Jim and Marian Deist, the Los Angeles based company was built upon core values of integrity and ingenuity when creating products to meet the demands of the industry. We feature Deist Safety products at low everyday prices.